The Presto offers the previously unattainable combination of lightness, speed, grip and controlled stops. 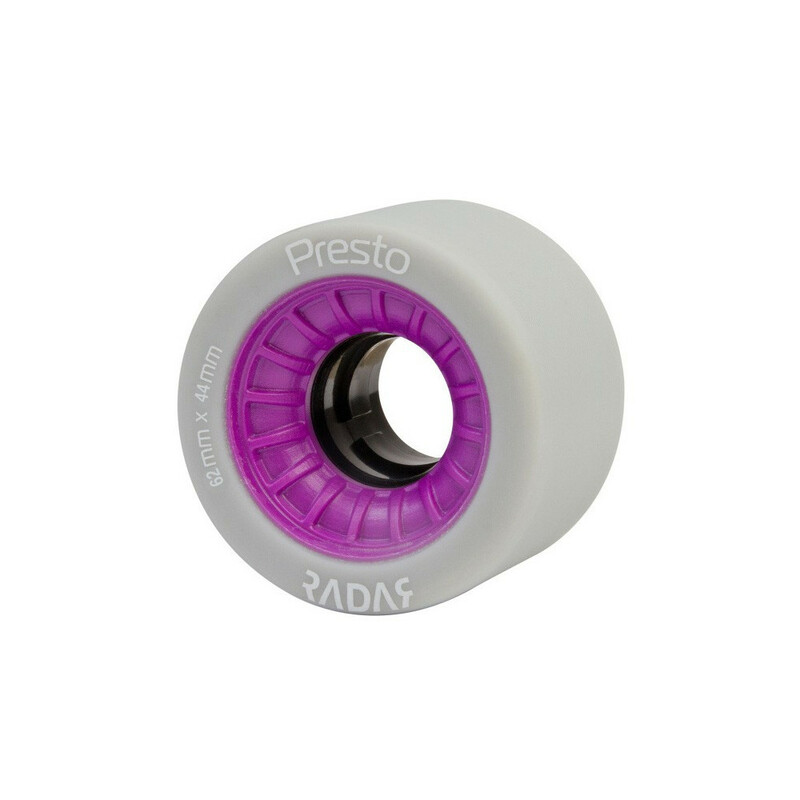 Featuring the Tiger 2 piece hub and Neothane urethane, the Presto sets a new standard for performance. Light, fast, and smooth ride.